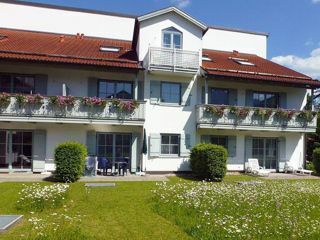 Exclusive holiday complex between Oberau and Niederau village village, stunning views all around the mountains. Various apartments for 1-5 persons with indoor pool-sauna-solarium-Fitness Children's playroom-Underground parking-ski and bicycle storage room. A personal service is on site with bread. 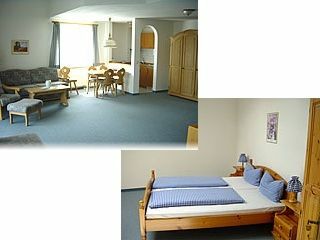 *** 1-room apartment with sofa bed in the NS 50 € / HS 55 € for 2 people. **** 2-room apartment for 2 persons 61 € / HS 71 € Large duplex apartment 1-5 persons NS 95 € / HS € 105 € a night. Rates are for 4 nights, plus 1,50 € tax from 18 years old. Motorway Munich, Salzburg, Inntaldreieck direction of the Brenner-Innsbruck, Kufstein 10km before will see the exit Oberaudorf. By Train Munich-Rosenheim-Oberau village. Arrival until 17:00 clock at the front desk or by appointment! Immediately, for selected apartments, plus 1 week stay for 2 people from 299 €.